Taking sales – and the scale of a business – to the next level often involves storing more inventory. In order to meet larger orders in a timely manner, businesses need to maintain a bigger inventory of goods. This means bigger warehouses and a better inventory management system. There are a lot of crucial equipment and solutions that can help make the entire process of storing and handling products in a warehouse more efficient. One of the most important things to have is high quality pallets and a good pallet racking system. 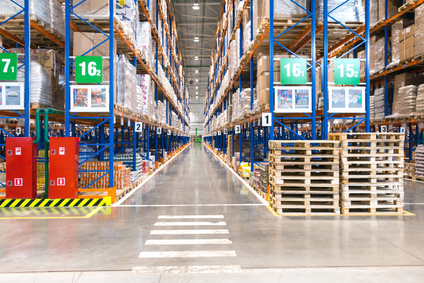 What benefits does a pallet racking system bring to your warehouse? That is what we are going to find out in this article. Pallet racking is a must-have if you are running a warehouse in Australia for one main reason: it helps utilise space more effectively. Instead of storing inventory horizontally, it is possible to maintain a larger number of products using vertical racks and a good pallet racking system. Many logistics companies consider space to be very valuable, which means the racking system brings more value to the table. Since the same space can now be used to store more items, you can increase the value of your warehouse (or warehouses) to a new level. It is much more convenient to use a pallet racking system than to rely on other proprietary – often untested – solutions. For starters, pallet racking systems available on the market are already designed to work with standard pallets. This means you can safely store items on pallets without modifying the racking system at all. The same racking system also comes with better design in general. There are no big pillars or badly-designed racks compromising the system. Everything is designed to be as efficient as possible. On top of that, setting up the racking system is easy to do thanks to the modular design. The same can be said for extending your racking system or making changes further down the line. An integrated pallet racking system is not only useful and valuable, but also cost-efficient at the same time. There is no need to invest a lot of money to set up a racking system for your warehouse. Even the best systems are relatively affordable, especially when you take the value they bring into consideration. Modularity is another big advantage in terms of cost. You don’t have to invest in a large pallet racking system at once. You can start with a small set of racks, and then extend the system according to the growth of your inventory. Another crucial benefit of a good pallet racking system is safety. In today’s world, ensuring maximum safety in a work environment is a must. A good pallet racking system comes with safety features to help make the warehouse safer to the workers. At the same time, using a racking system also allows you to protect the safety of your goods. There is no need to absorb additional risks when goods are being stored over a long period of time. The racking system is strong enough to remain structurally sound, protecting goods stored in the system. Time is a crucial asset. The market is very competitive these days, so any time-related advantage is an advantage worth pursuing. A good pallet racking system can help you gain that time advantage with a higher accessibility. The system must be designed for speedy storage and retrieval of goods in the warehouse. Combined with other tools, including machines designed to speed up things around the warehouse, you can handle orders and store inventory at a much faster rate. High accessibility also means fewer accidents and errors. With the entire inventory being more accessible, workers of the warehouse can be more meticulous with how goods are stored, how the inventory is organised, and how retrieval should be done to minimise errors. A Warehouse racking system is an investment worth making as your business grows and you start storing more inventory. Always having your products in stock and knowing that you can store larger inventory in an efficient manner are some of the things that will give your business a competitive advantage on the market, all while keeping inventory costs at a manageable level.